I have really enjoyed the parody in this series. There are goddesses that personify the major gaming consoles and even a theme park that shows off some classic gaming. What have we been lacking? Actual gaming technology. Well, we got that this time around. Everyone decided to go to Leanbox for a concert and after party. The concert was nice, but Vert never showed up to the thing that she invited everyone to. It turns out that she was held up in an online video game. Even after everyone arrived at her place for the after party, Vert decided to make them wait for her to finish. She must really enjoy her games. What am I saying? She has an entire room filled with games and memorabilia. Noire takes charge and gets everyone to help out with setting up the party. Even though their efforts in shopping, cooking, and cleaning were successful, I think that it would make more sense if her servants took care of that work. I assume that all of the goddesses have servants because of their status and large homes. Blanc sure as hell has her fair share. Well, the after party consisted of food and some virtual gaming with a special camera setup. It was a Kinect and that projector that Microsoft announced for immersive gaming. Things came to a halt as news of an attack in the Zune district came through and the goddesses went to go stop it. Unfortunately, they were ambushed by an enemy that has access to something that drains the power of goddesses. What will happen to the ladies? Nothing bad because this is not a serious anime. The enemies have made their move. I am enjoying this series. This new enemy is fairly interesting. They have access to a technology that drains the powers of anyone that relies on shares and those people cannot even touch the stuff. 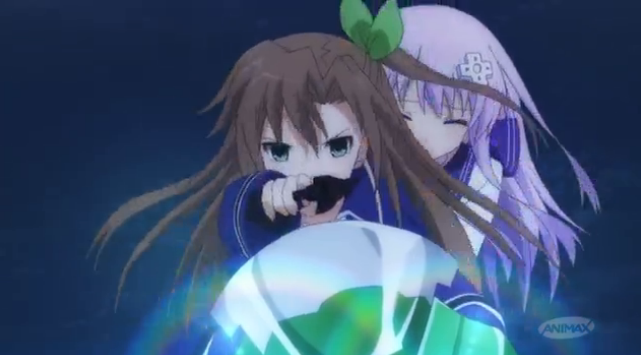 Nepgear found that out firsthand. Their goals should be fairly predictable. They want to take down the hierarchy of the goddesses and form a new governing body. That is the most likely goal. However, their technology messes with shares, so they could also just want to throw the world into chaos. If you mess with the shares, then you screw up the power source of the world. 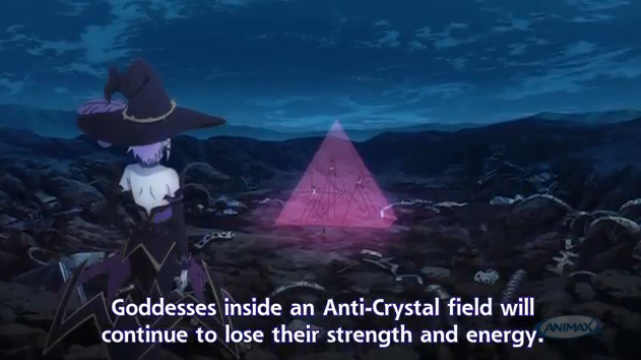 Obviously, the goddesses will not fall this easily, so I guess that IF will get them out of this somehow. Since she is not a goddess or goddess candidate, she probably does not rely on shares for fighting. Also, there is no way that a true gangster like herself will be stopped easily. Just look at the way she holds her gun. Don’t mess with IF. I was waiting for a piece of our gaming technology to show up in the show. 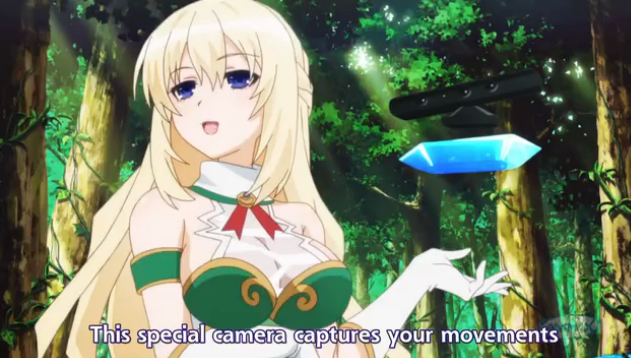 That is obviously a Kinect that Vert is using. I guess the Xbox One isn’t the only thing that is pushing use of the Kinect. They also showed off the projector that Microsoft thinks will be the future of gaming. By projecting a larger view of the gaming world in your room, you can gain a peripheral view of your environment. It sounds nice in theory, but this is technology that is too far in the future to be good now. We have barely gotten used to motion controls. 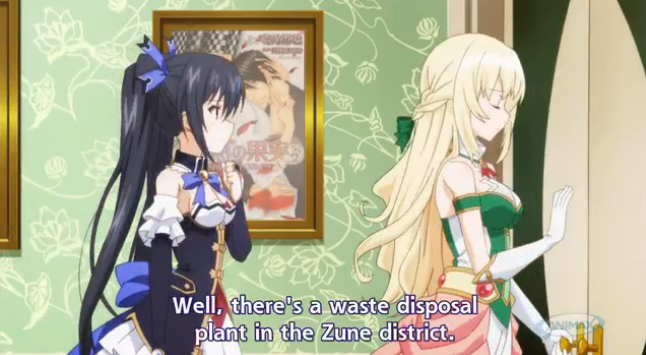 Also, the Zune reference was funny. I remember that a lot of my friends had Zunes in high school and I actually liked them better than iPods. I guess they just never got up and running. It was probably the size and price of the basic models that scared people off. I still think that I would rather own a Zune than an iPod though. I am not trying to be a hipster or anything by saying that iPods are too mainstream. I just thought they were cool. Overall, the references in this episode really had me going and I am looking forward to finding out more about this enemy. IF is a true gangster.